This Rick and Morty Mr. Meeseeks Snapback hat gives you a happy version of the character from the cartoon that you can wear on your head. 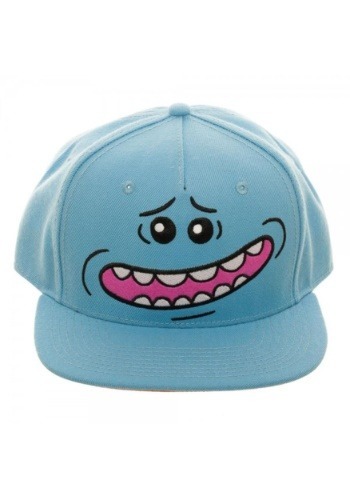 It’s officially licensed and it is light blue, just like the character and it even has his face designed into the front. The back has an adjustable band, making sure that one size fits most!